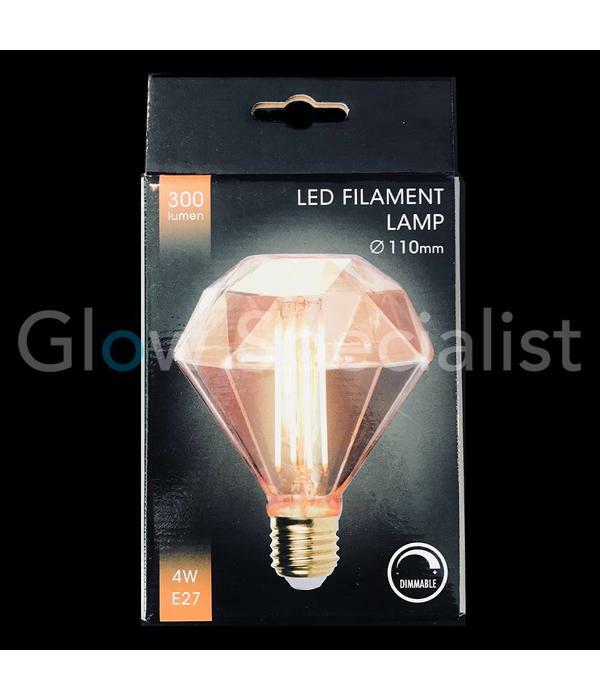 LED lamps are the future. This type of light source is beneficial for the environment and for your wallet. 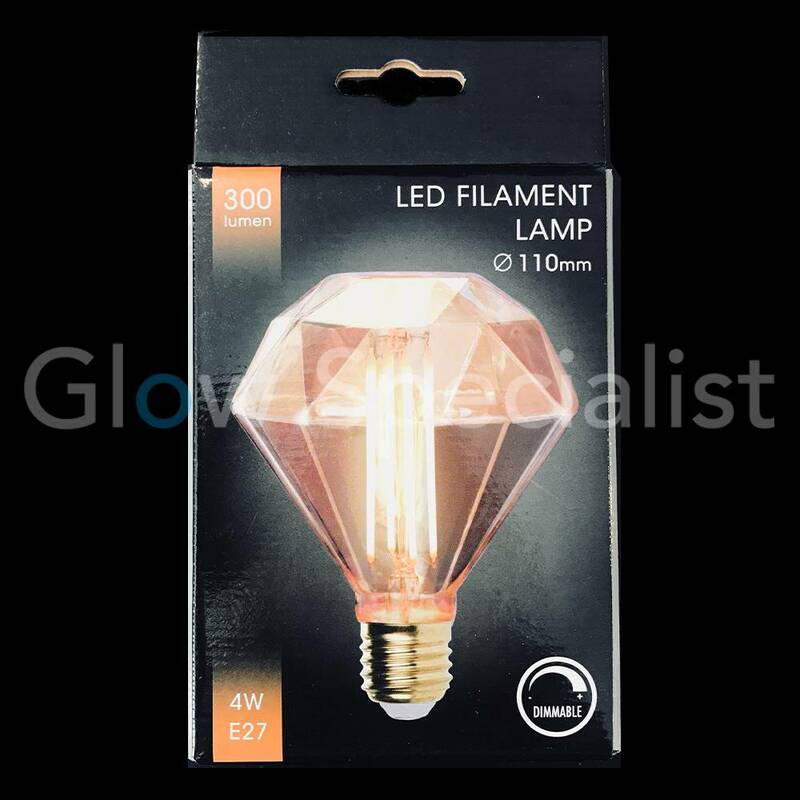 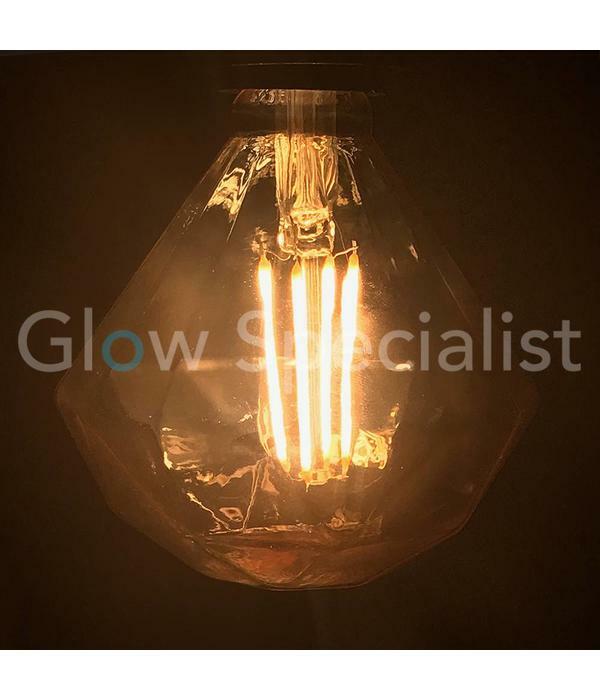 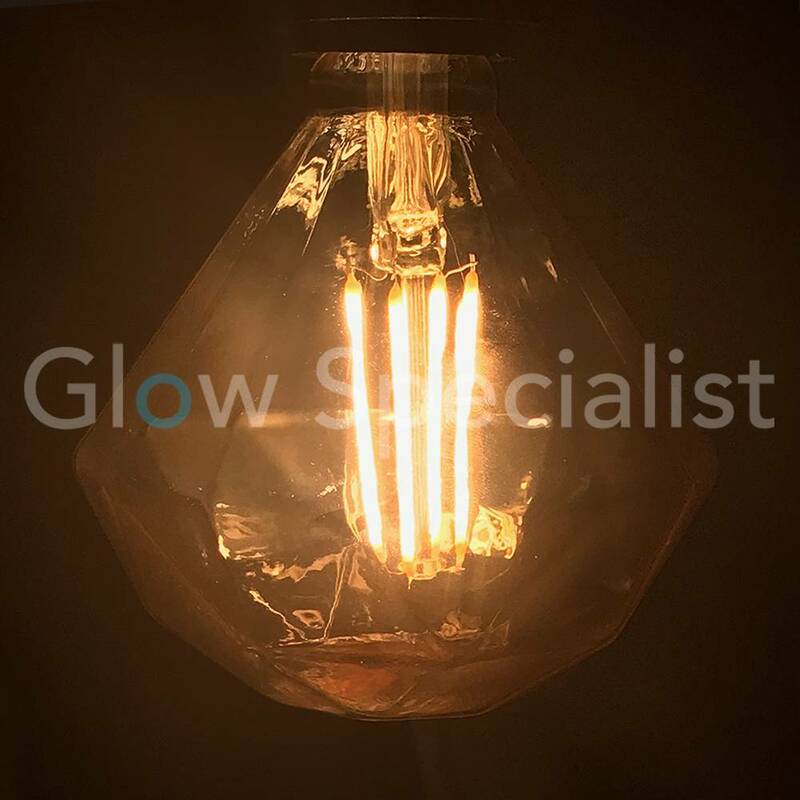 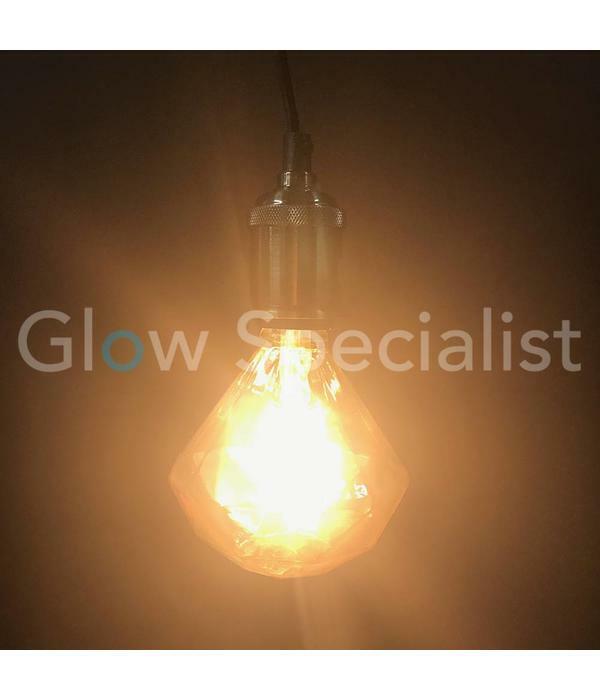 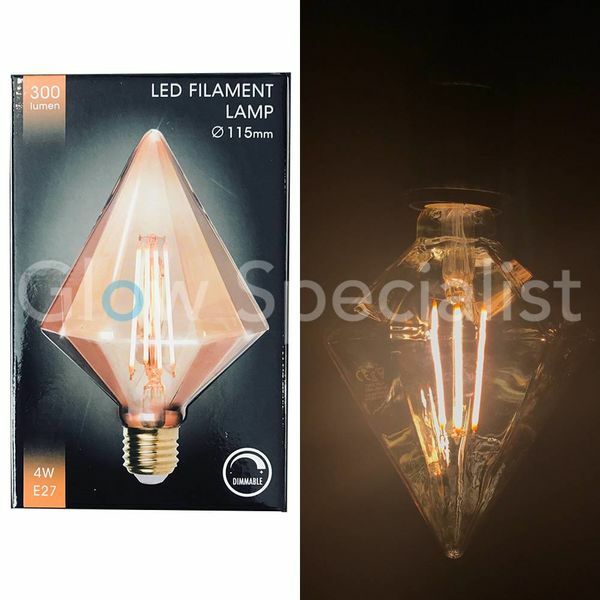 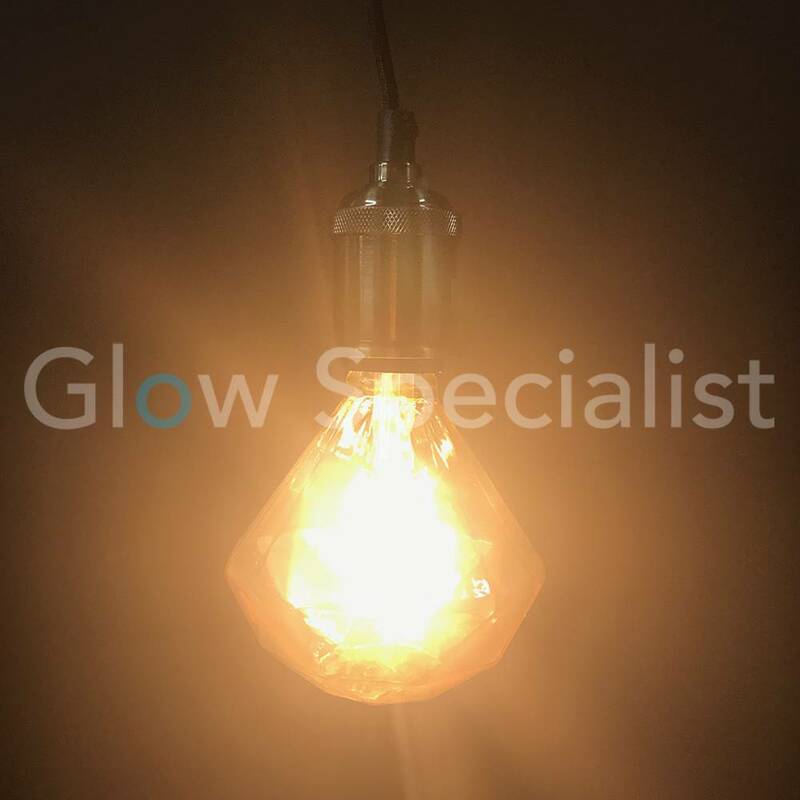 The Filament LED lamp Edison Flat Diamond consumes only 4 watts, while it has a greater light intensity than the classic light bulbs. 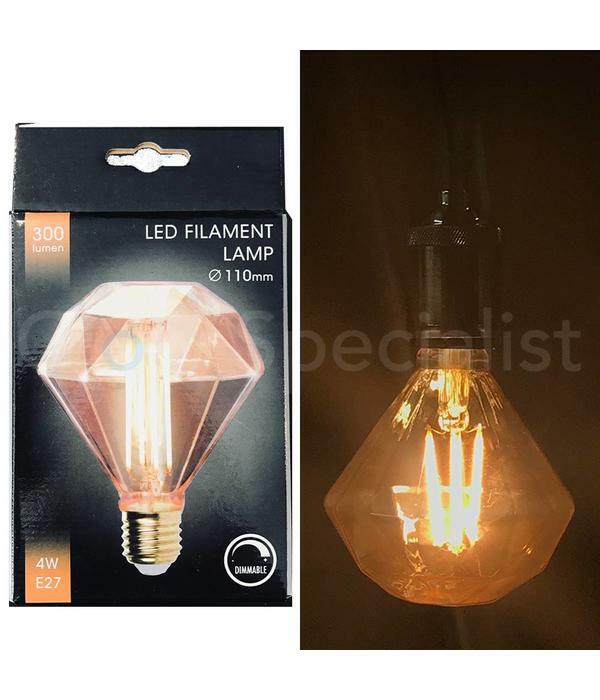 With this elegant and stylish LED lamp you get lighting in your home, which is playful thanks to the wires that run through the lamp and romantic thanks to the diamond design. 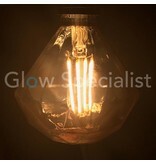 With energy label A ++. 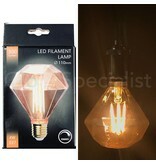 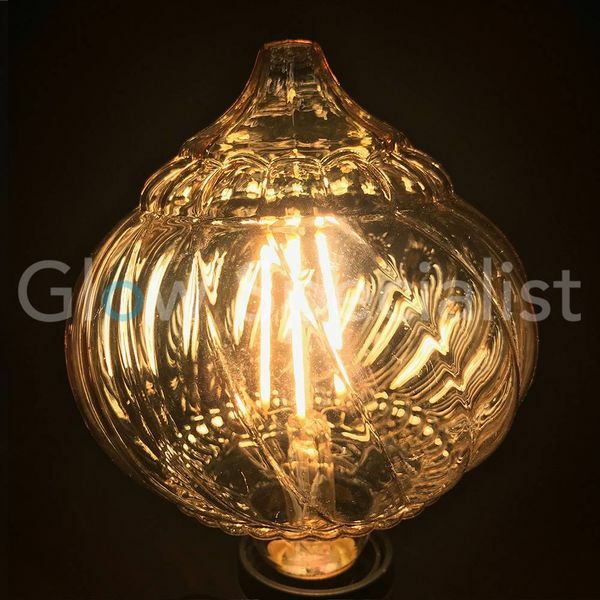 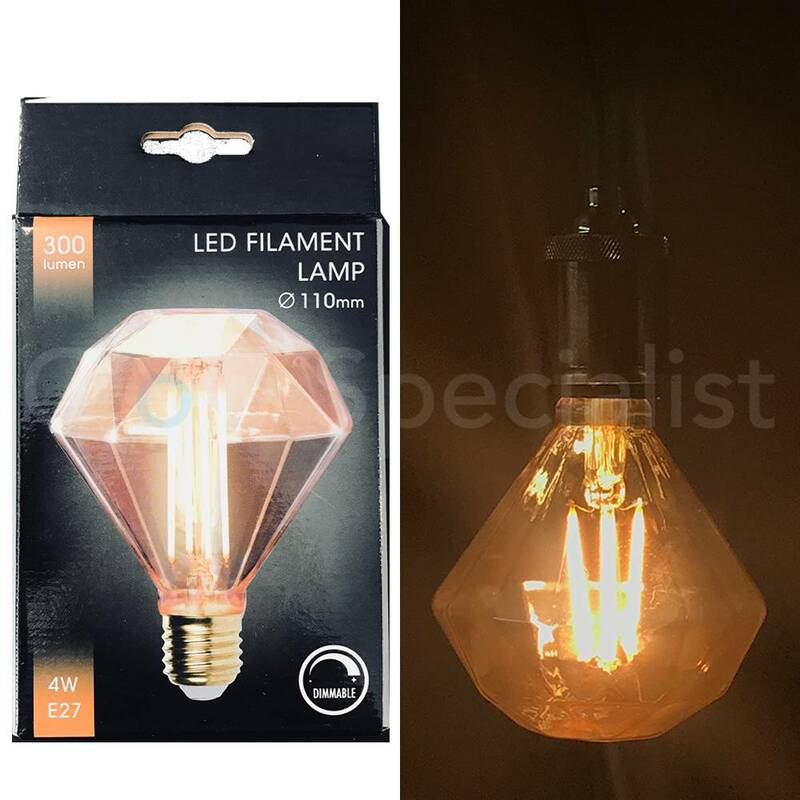 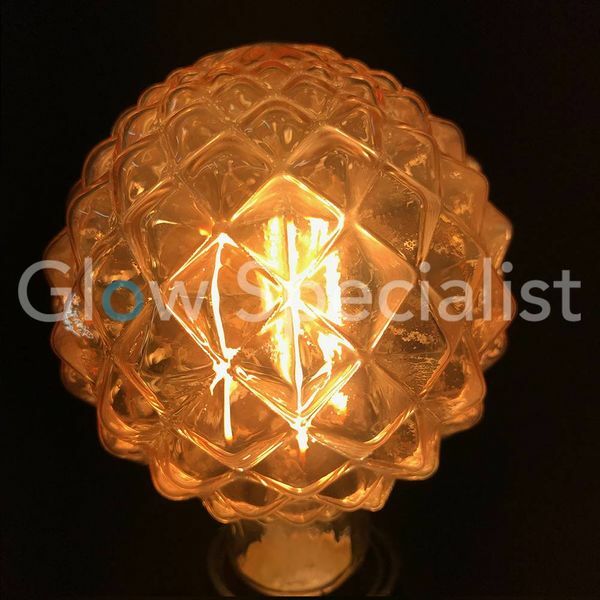 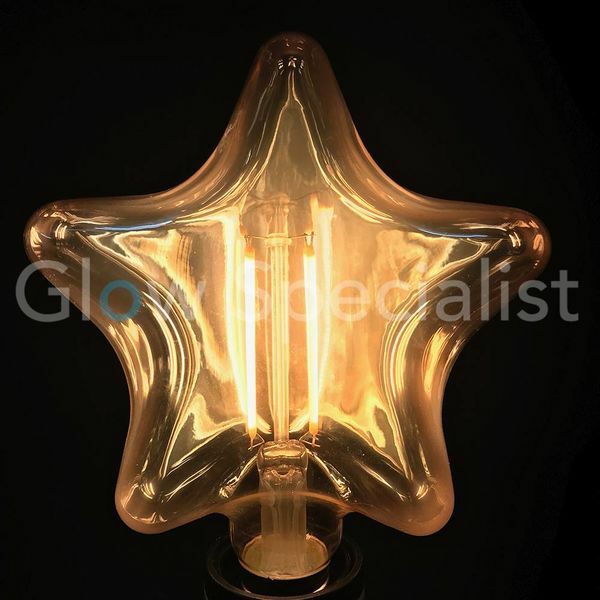 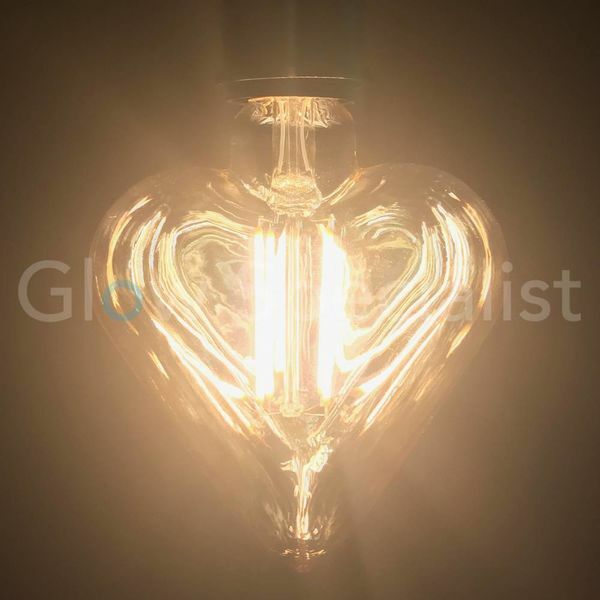 The Filament LED lamp Edison Flat Diamond gives extra warm light thanks to the golden glass, for even more atmosphere in the house. 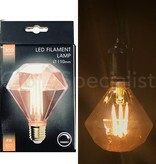 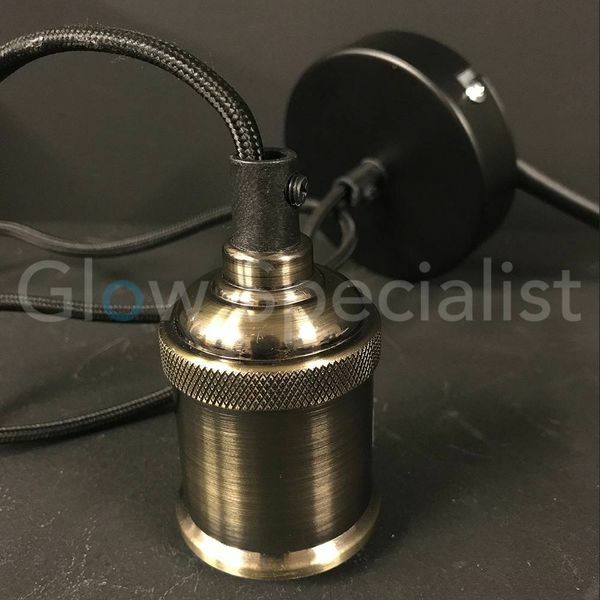 This light source is dimmable and can be combined with any E27 fitting. This LED lamp has an estimated lifespan of 15,000 hours. 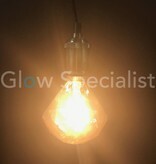 Note: the light intensity of our light sources is represented by the number of lumens. 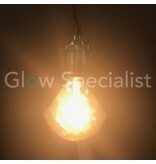 The wattage reflects the energy consumption.